Seven Criminal Justice master’s-level graduate students at Bowling Green State University are currently working on the NIJ-funded research project, Police Integrity Lost: A Study of Law Enforcement Officers Arrested, as graduate research assistants. They each work under the direct supervision of the project’s principal Investigator, Dr. Philip Stinson. 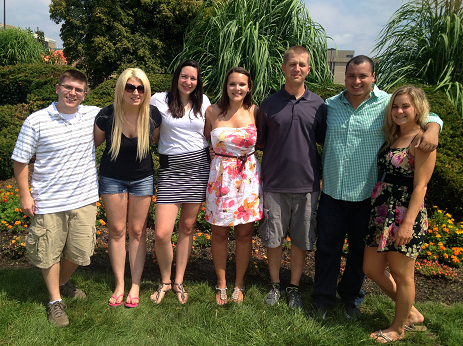 Pictured are Denny Roehrig, Krista Long, Erin Thomson, Georgianna Whitely, Andy Pope, Adam Sierra, and Natalie Todak.